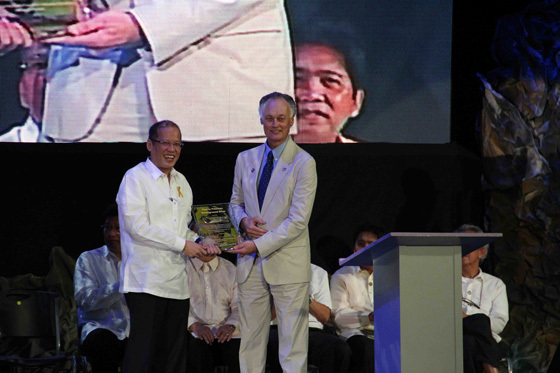 President Benigno Aquino III of the Philippines (left) with Bernard Weber, Founder-President of New7Wonders (right) at the inauguration ceremonies held today in Manila to recognize Puerto Princesa Underground River as one of the New7Wonders of Nature. 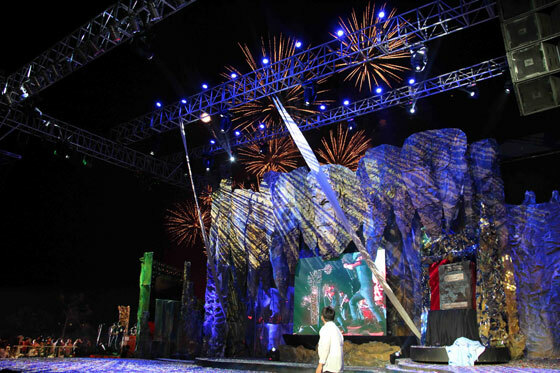 The first phase of the Official Inauguration ceremonies celebrating the Puerto Princesa Underground River (PPUR) as one of the New7Wonders of Nature began to day in Manila. The event was attended by Philippines President Benigno Aquino III, Environment and Natural Resources Secretary Ramon Paje, Interior and Local Government Secretary Jesse Robredo, Puerto Princesa Mayor Edward Hagedorn and New7Wonders Founder-President Bernard Weber. The stage is set for the Puerto Princesa Underground River inauguration ceremonies in Manila.